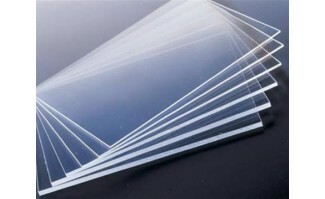 Extruded acrylic sheet is a glazing, signage, window or display material that is unaffected by moisture, and has a high strength-to-weight ratio. It offers high light transmittance and can be heat-formed without loss of optical clarity. Extruded acrylic can be cut, routed, polished, bent and formed.